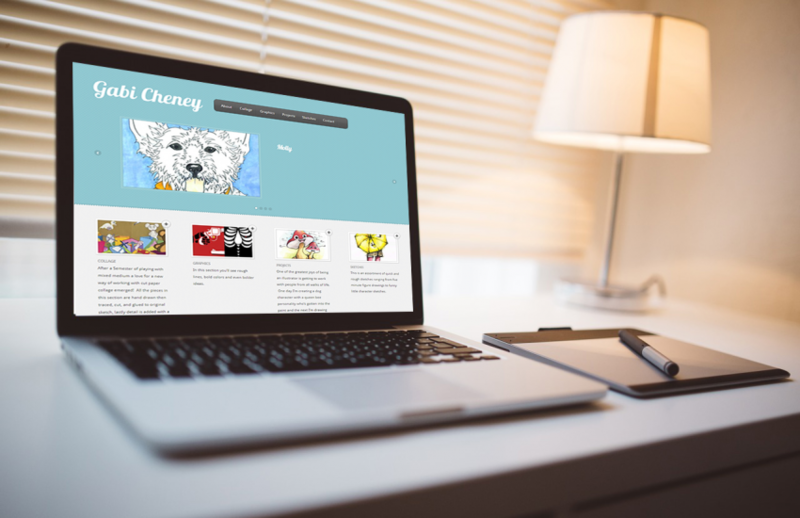 Gabi Cheney is a local artist just getting started in the business and needed a WordPress website to showcase her digital portfolio of drawings and graphic design. 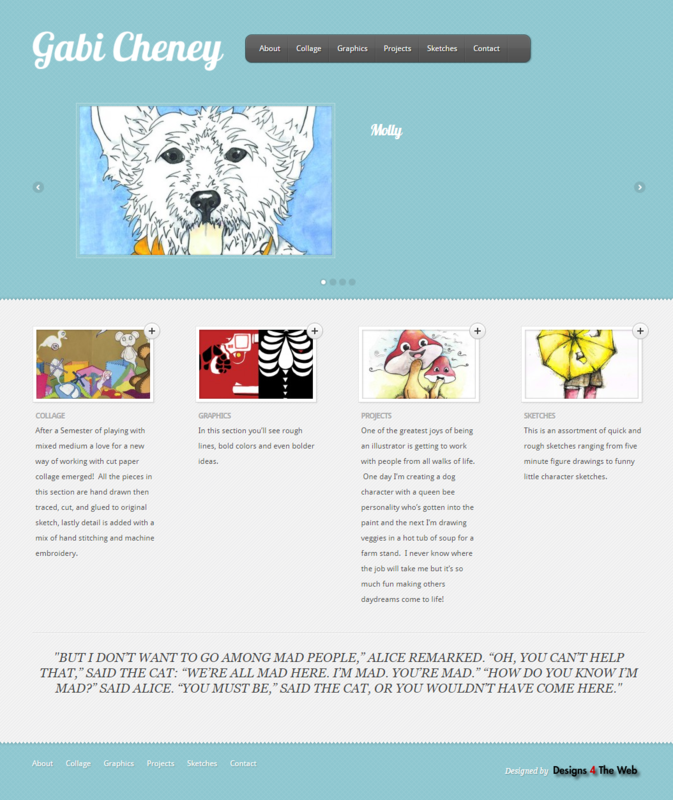 Guided by the idea that her site should match her zany drawings, Designs 4 The Web built a portfolio site that allowed her artwork to take center stage. Burnt Offerings Art is the brainchild of local artist John Houle who specializes in an artform called woodburning where images are burned into wood. John contacted Designs 4 The Web looking for a website that would give him a clean space to show off his latest work and an easy to use calendar where he could list all of his upcoming shows. 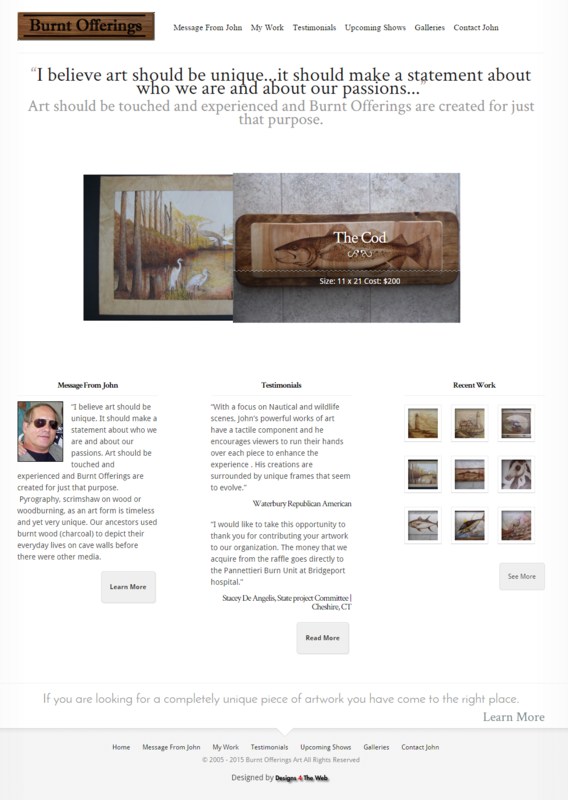 The result was a WordPress build with some custom plugins that has John in control of his artwork and now his website. 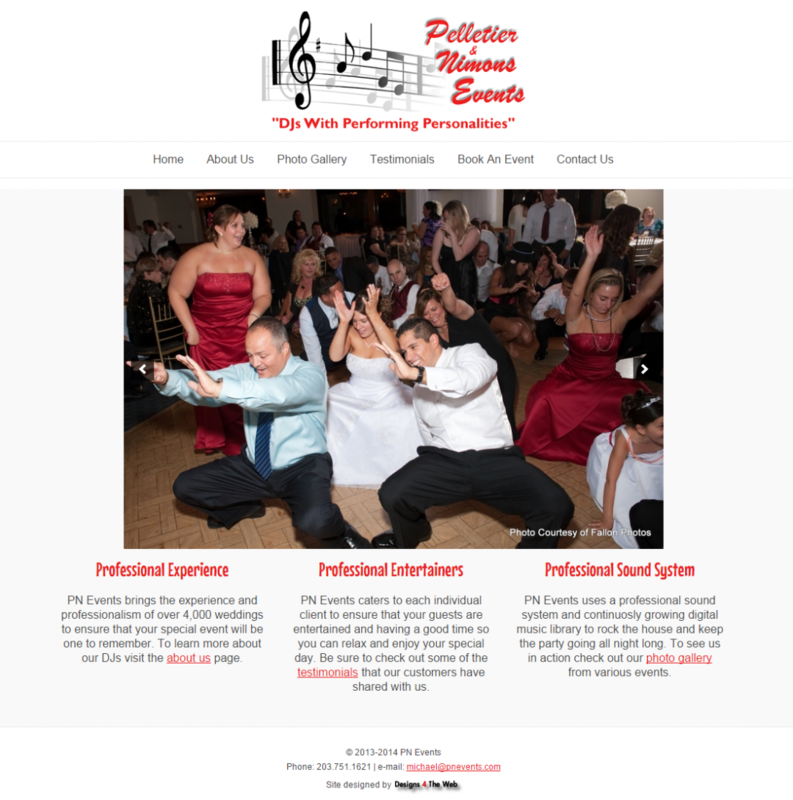 PN Events is a Connecticut based mobile DJ group that was in need of a brand redesign as well as a slick new website that matched their professional energy. 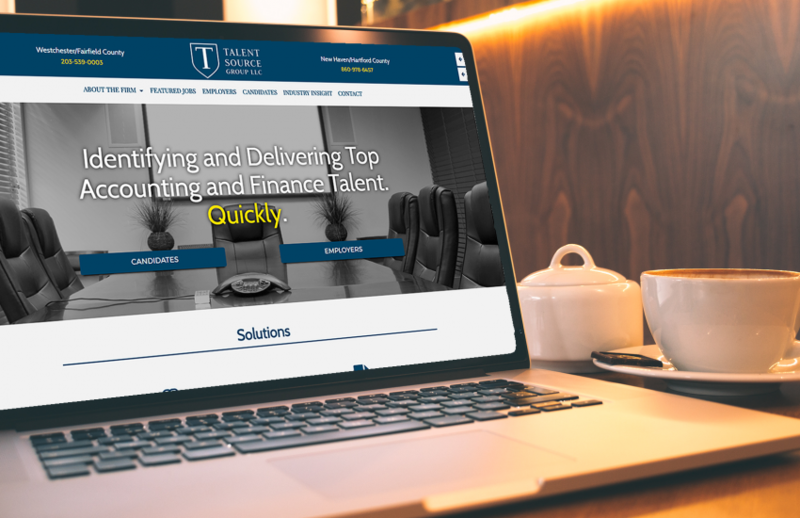 D4TW provided a fresh logo, marketing materials and a fully responsive site optimized for tablets and mobile devices to get them back in the groove. 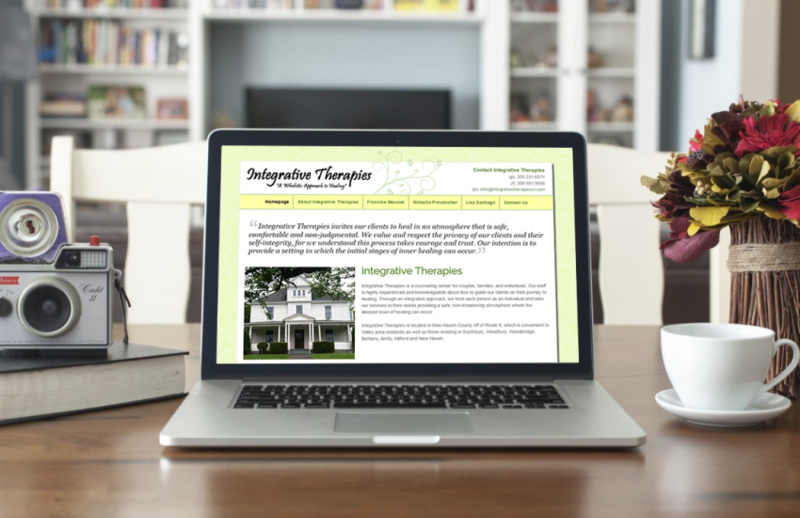 Integrative Therapies was looking to extend it’s reach into the community with a new website, new design and exciting new brand. Designs 4 The Web built a site to match their needs and also put together a portfolio of print media for getting their business off the ground. 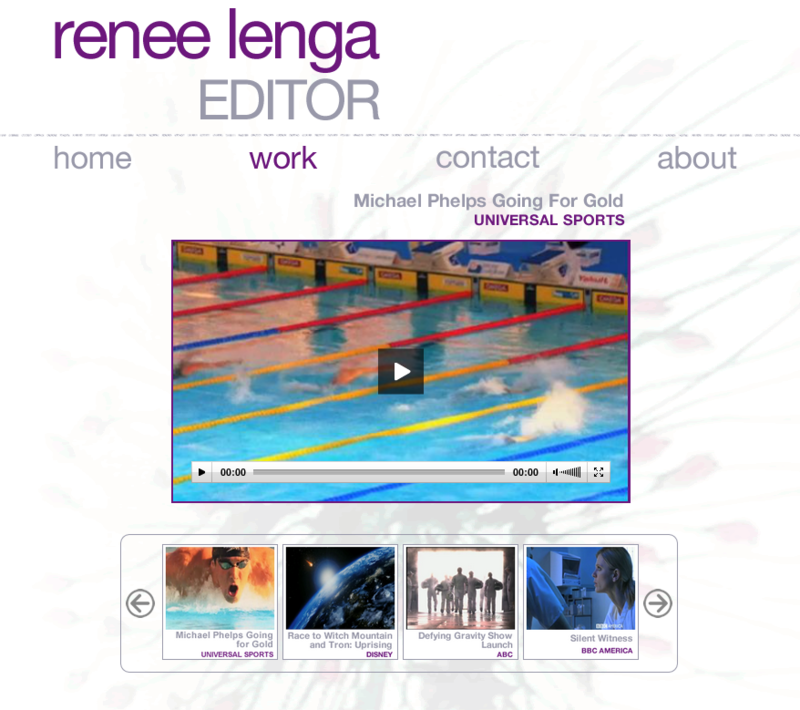 Renee Lenga is a talented video editor residing in Burbank, California. When she contacted Designs 4 The Web she needed a dynamic resume site built in a hurry that showed off her video production talents. 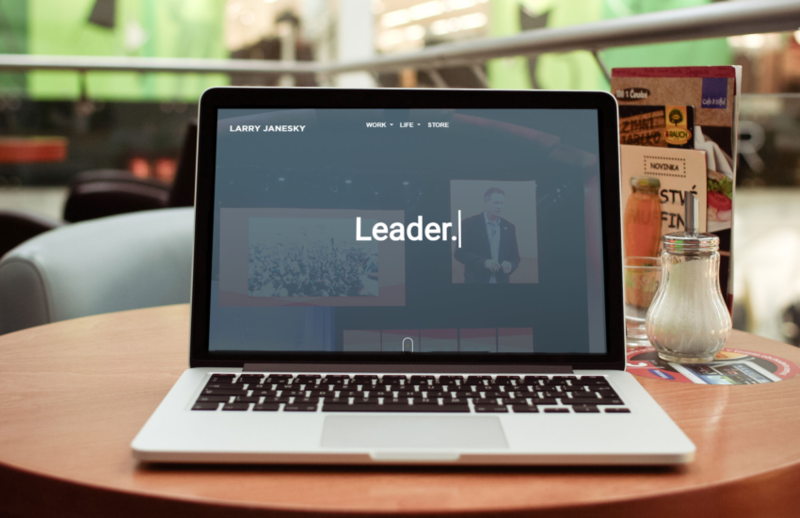 This project has some pretty slick coding that allows the user to use a carousel style slider to select a video and then click and load the video into the player while a separate title header loads. 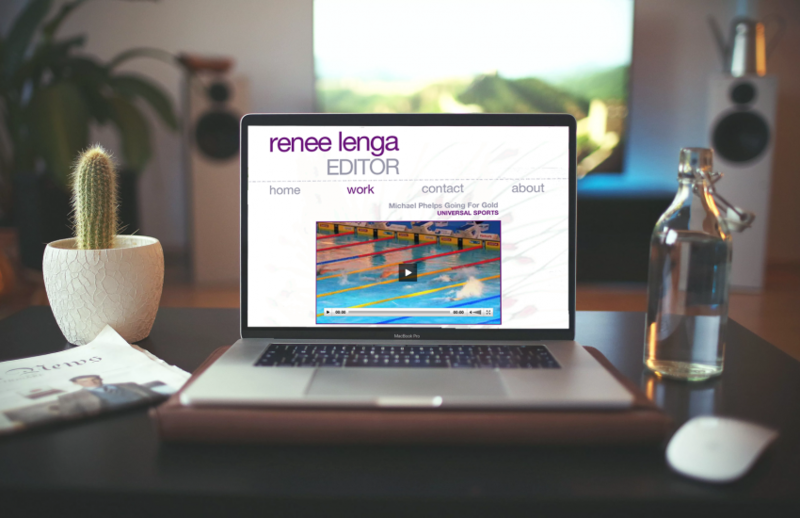 Check out Renee’s site to see it in action. 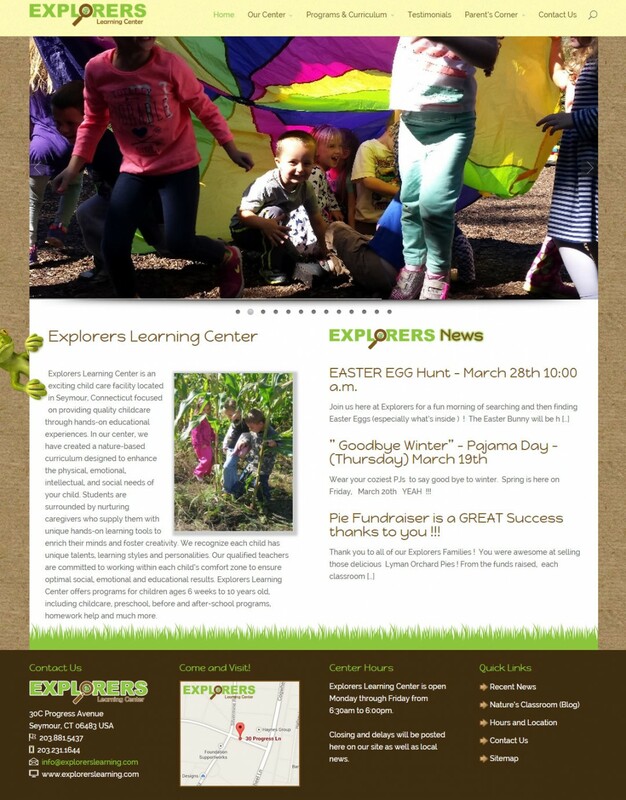 Explorers Learning Center needed a fresh new look for their business to match their nature-based curriculum and exciting hands on curriculum. 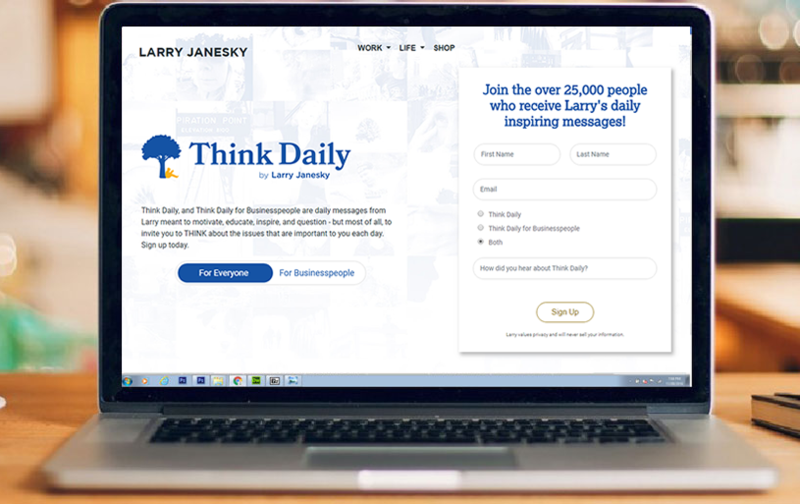 After meeting with Jackie and Joyce to discuss a new direction for their brand, a logo was created along with a new site and social networking integration. 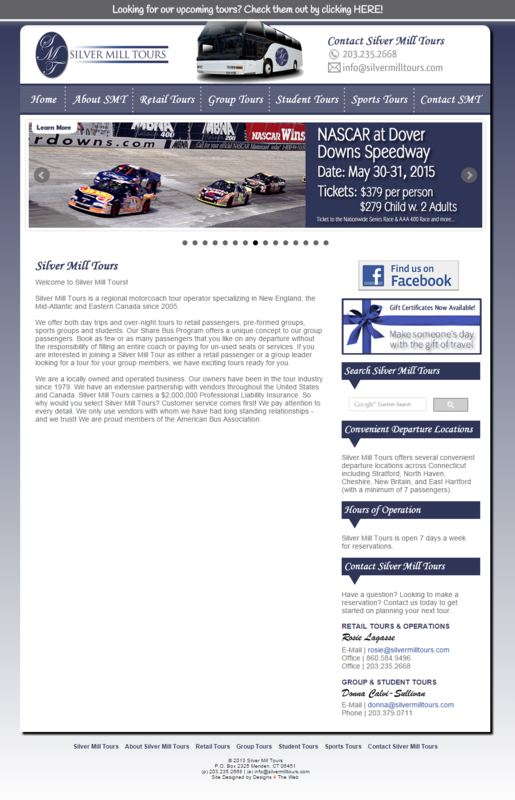 Silver Mill Tours, a regional motorcoach tour operator, was in desperate need of a new web designer. Their site was outdated and their designer was too busy to update it which was crippling sales. 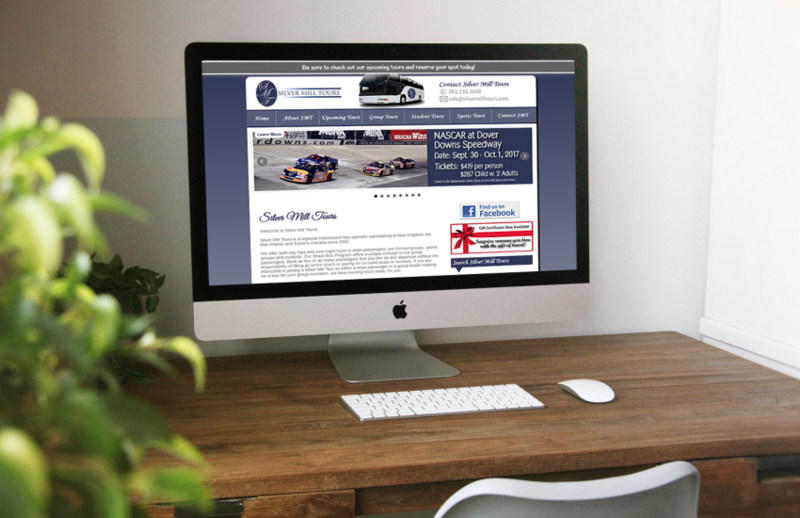 Within a week, we got them back on their feet with a new site design and homepage sliders that have led to a spike in business. 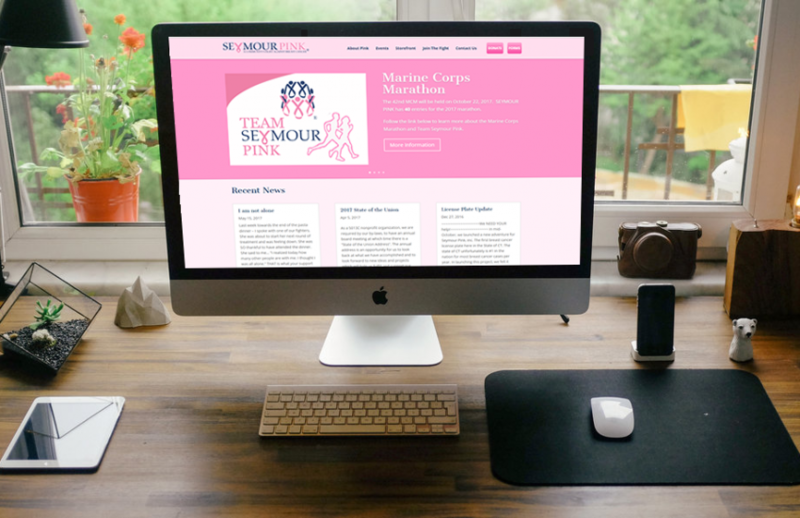 Seymour Pink is a non-profit grassroots organization based out of Seymour, CT regarded as “A community’s fight against breast cancer”. 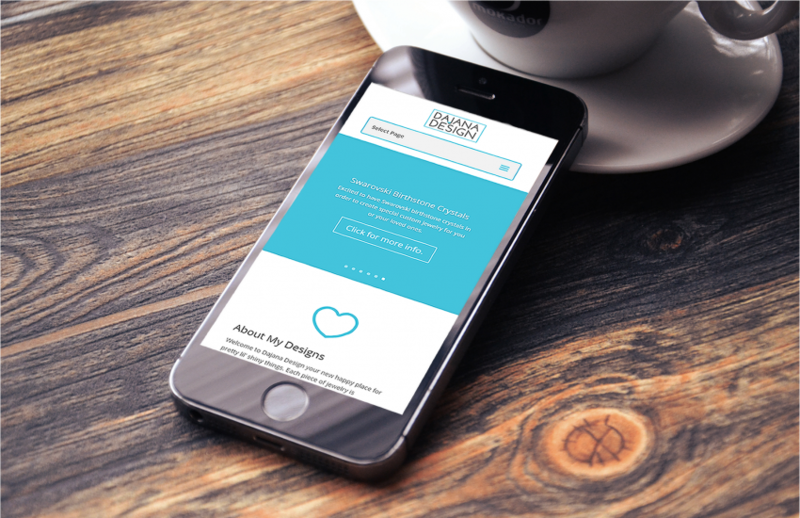 Designs 4 The Web had the pleasure of sitting down with the founder Mary Deming to develop a website that would convey their passionate message as well as a space for their annual events and e-commerce web store. 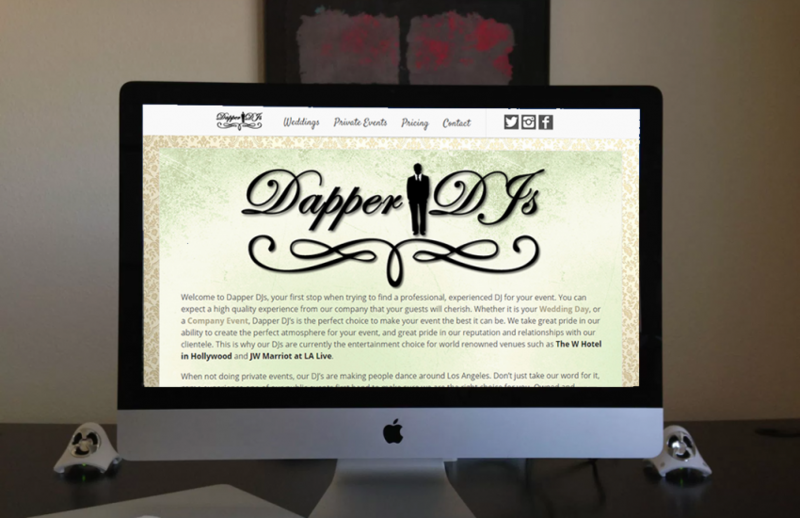 Dapper DJs is a California based entertainment company which provides packages for events ranging from company parties to over the top wedding celebrations. 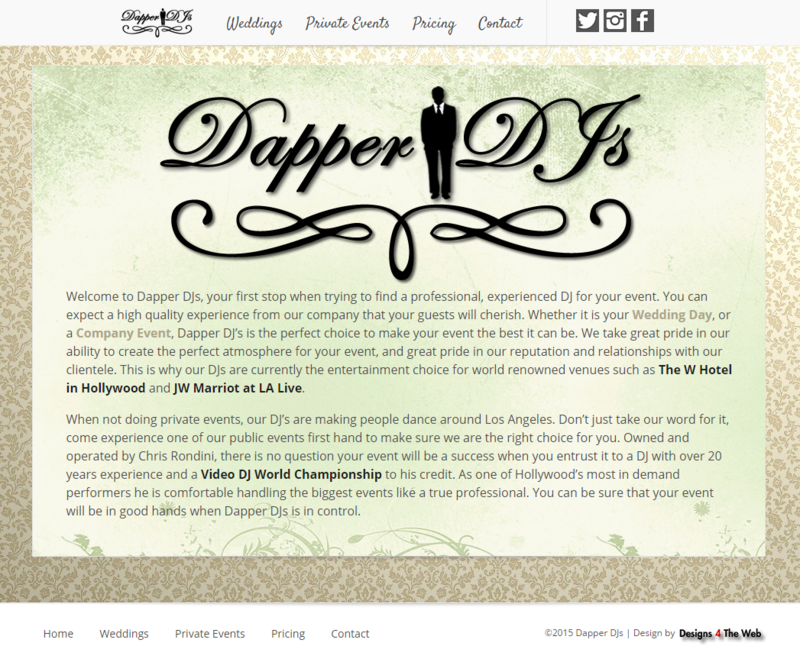 The well dressed DJs perform at a number of lavish venues such as The W Hotel in Hollywood and the JW Marriott at LA Live. When they contacted Designs 4 The Web looking for a site to match their upscale clientele they weren’t disappointed. 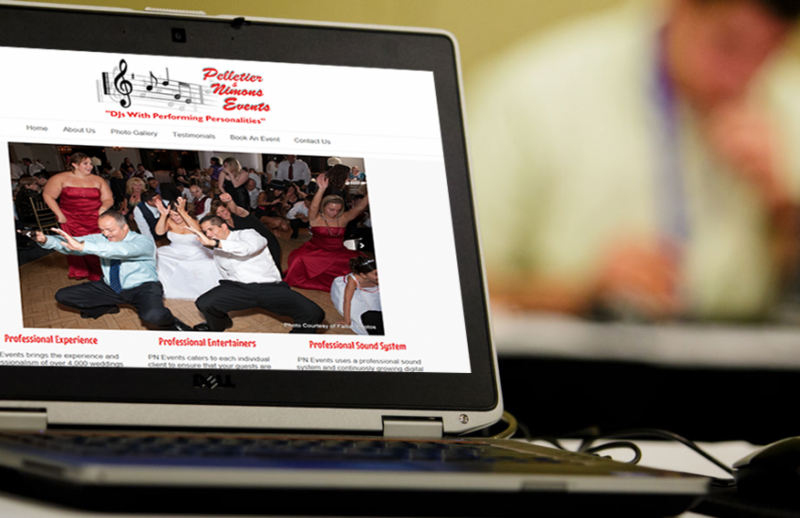 Within one week, Designs 4 The Web delivered with a new responsive WordPress website they can manage independently to ensure they keep the party going. 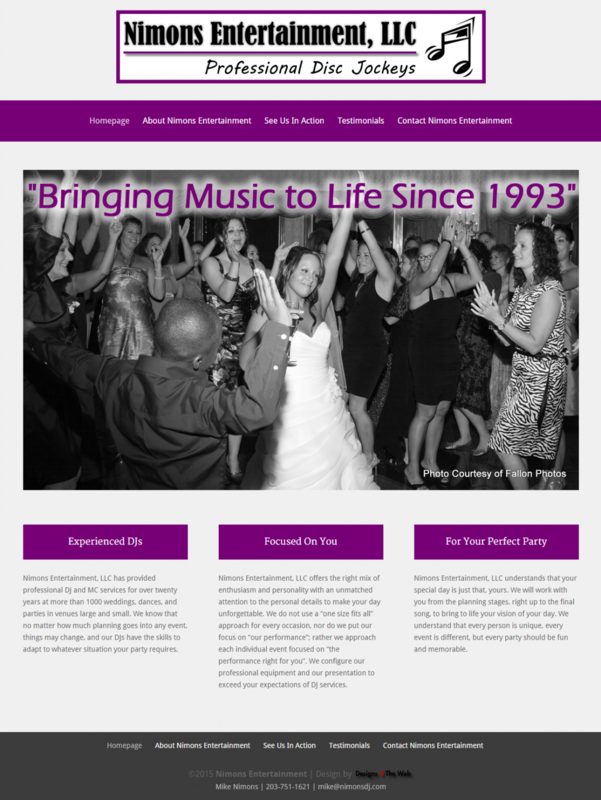 Nimons Entertainment is a Connecticut based mobile disc jockey service who was looking for a website built quickly and professionally. 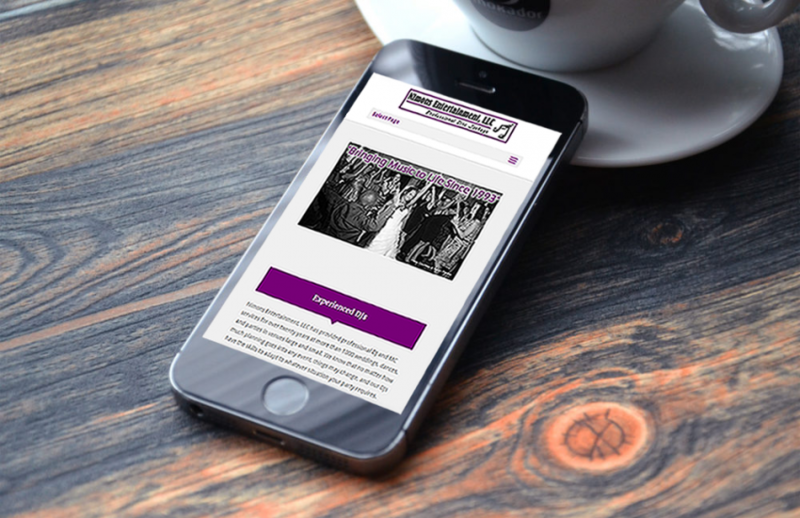 Owner, Michael Nimons contacted Designs 4 The Web with a color scheme and some thoughts looking for a new logo and a simple, responsive website design built with WordPress. 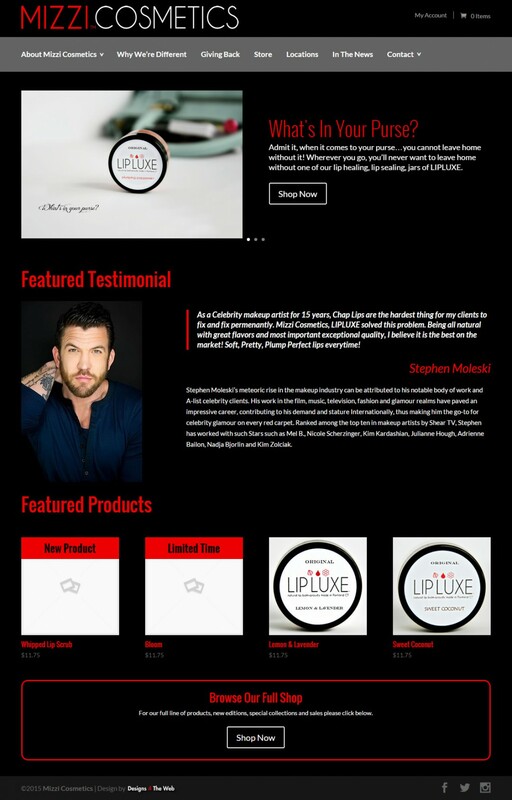 Mizzi Cosmetics is a Connecticut based cosmetic company that went from a small home-based operation to a nationwide success overnight thanks in part to the inclusion of the product in the 2015 Oscar “swag bag”. 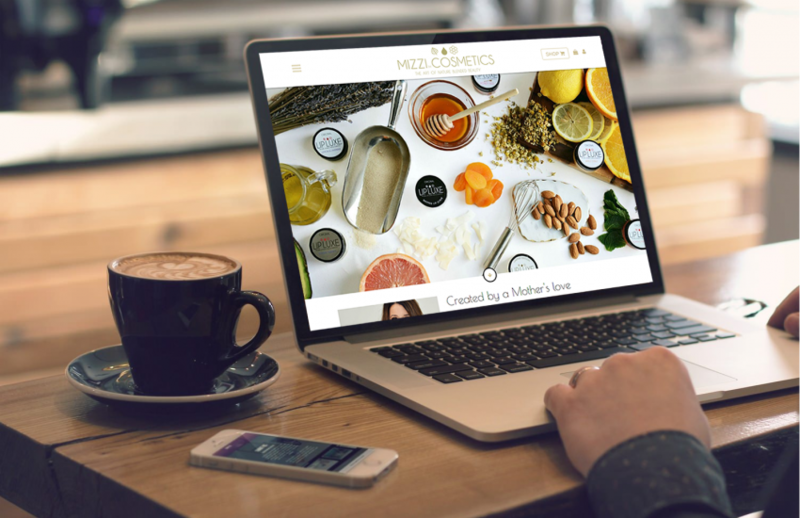 Momtrepreneur, Brenda Mierzejewski, contacted Designs 4 The Web looking to take her small business from a self-updated Wix site to the next level. 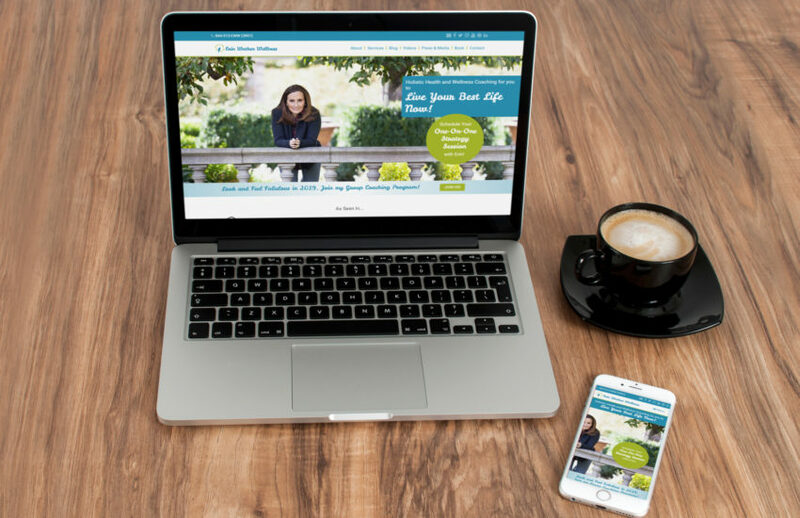 Within two weeks, Designs 4 The Web built a professional looking, fully responsive mobile website with an easy to navigate e-commerce store that had Brenda’s sales soaring in no time. 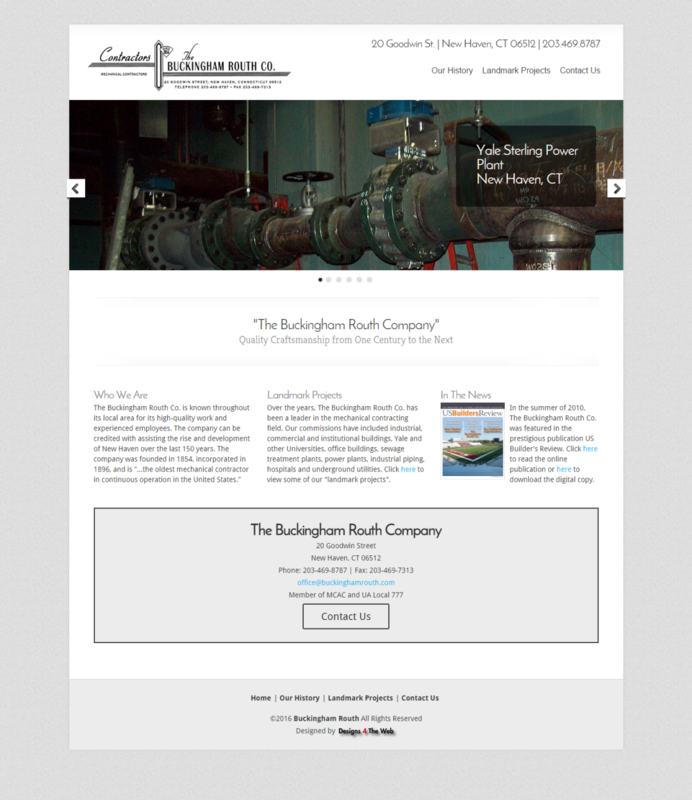 The Buckingham Routh Co. is known throughout the NorthEast as the company that can be credited with assisting the rise and development of New Haven over the last 150 years. 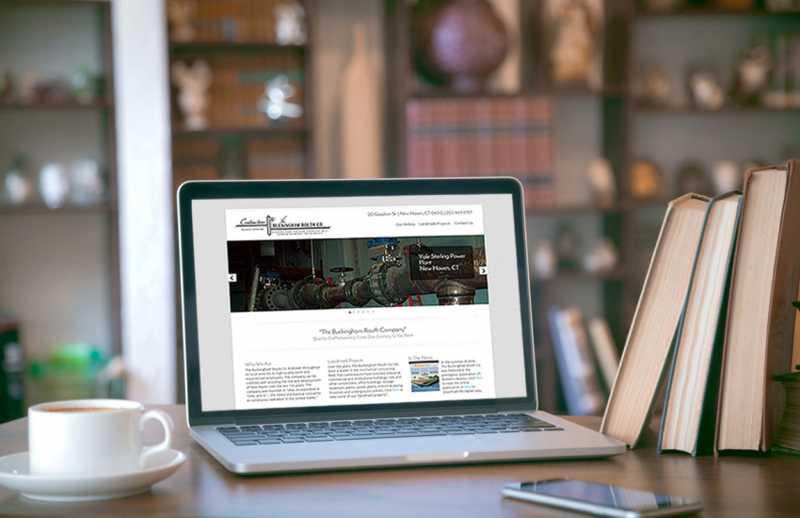 Founded in 1854, it is “…the oldest mechanical contractor in continuous operation in the United States.” After all that time without a website, Buckingham Routh contacted Designs 4 The Web looking to showcase its history and landmark projects. 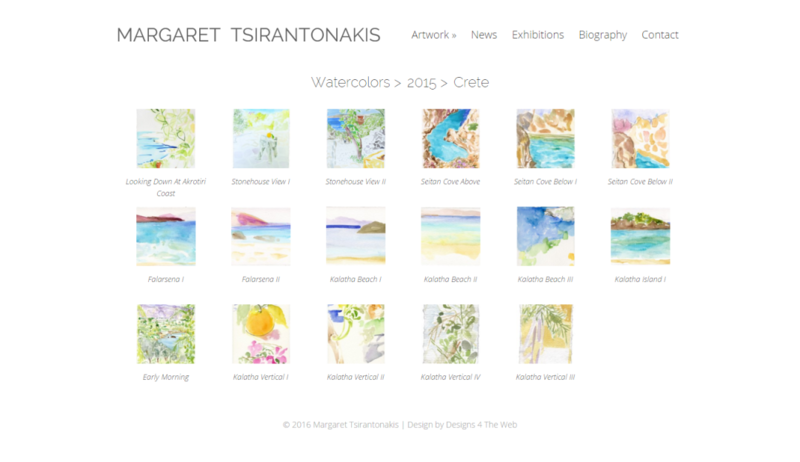 Margaret Tsirantonakis is an artist based out of Stamford, CT. 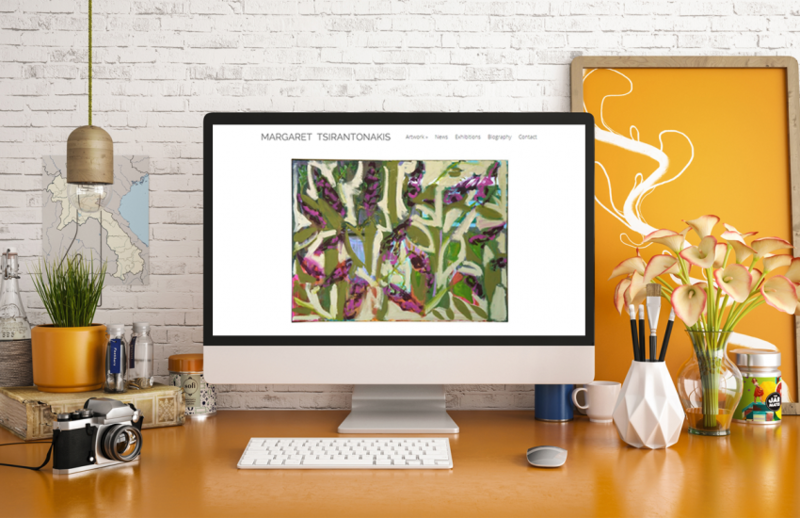 When Margaret and her husband Hugh decided to rebuild their their existing website they wanted a clean, elegant approach with some extended functionality using the WordPress core. In summary, they wanted to build a gallery with some customization and modifications. 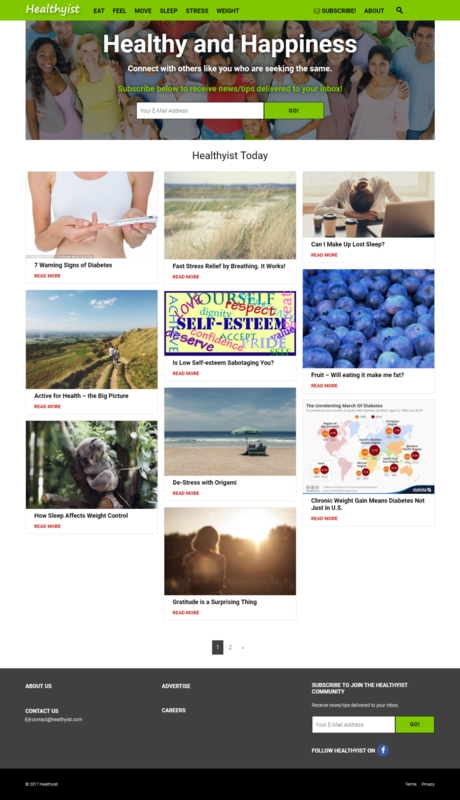 The result is an artist gallery developed through the creative use of the WordPress custom post types and custom taxonomies. This was a fun project in that it pushed the boundaries of WordPress as a CMS. 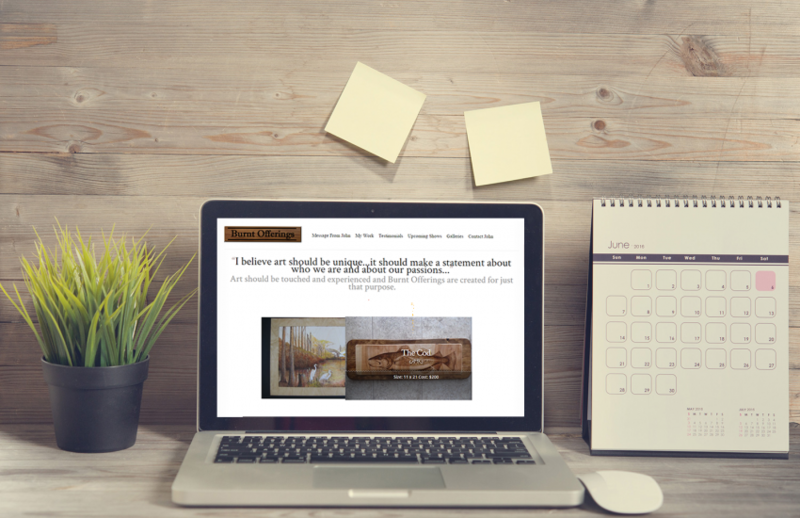 The beauty of the project is the gallery functionality without a gallery plugin. In addition, the archive section of the site was built with ajax and is searchable across a number of custom taxonomy terms. 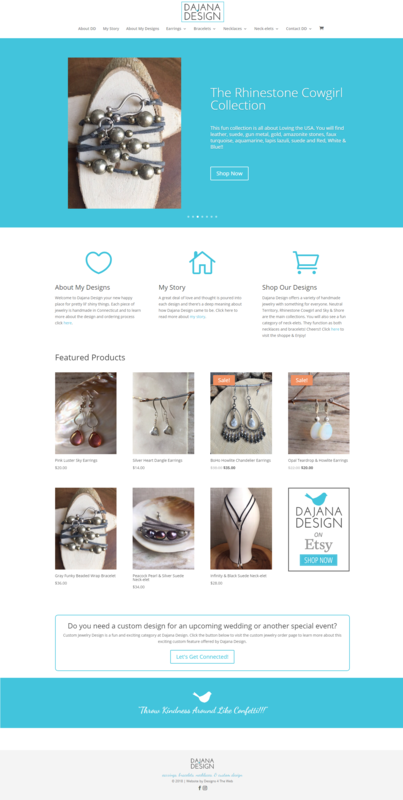 Dajana Design is an up and coming jewelry shop based out of Seymour, CT. Dajana (pronounced Diana which is pretty cool) contacted me looking for a website to sell her custom handmade jewelry. She wanted her personality to come through in the site and the purity and elegance of her designs. 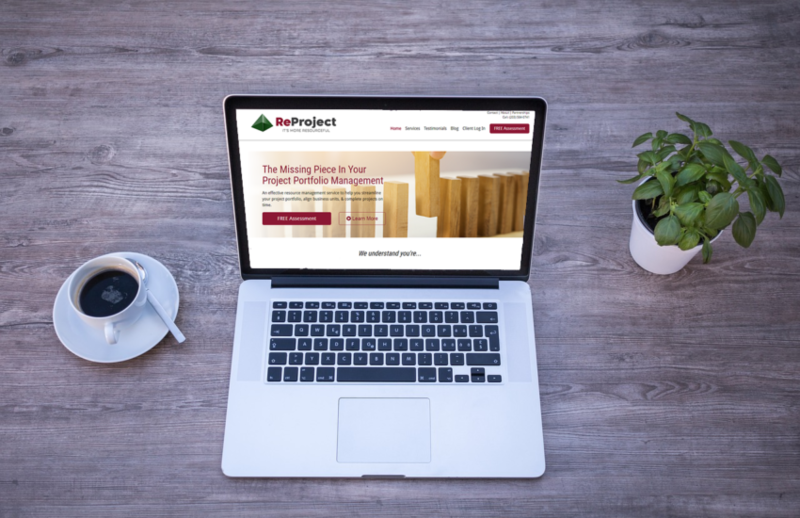 The layout of the site complements her photography and the simplicity of the WooCommerce implementation allows customers to find and purchase their jewelry in the blink of an eye. One of the custom pieces of the project is a personalized message that appears within the shop pages for users who are logged in. For those who are visiting as guests, it links to the account page where they can either sign in or create an account. For more information on the code snippet used for that functionality, check out the WordPress tips and tricks post titled “How to Welcome Users by Name to WooCommerce Store“. 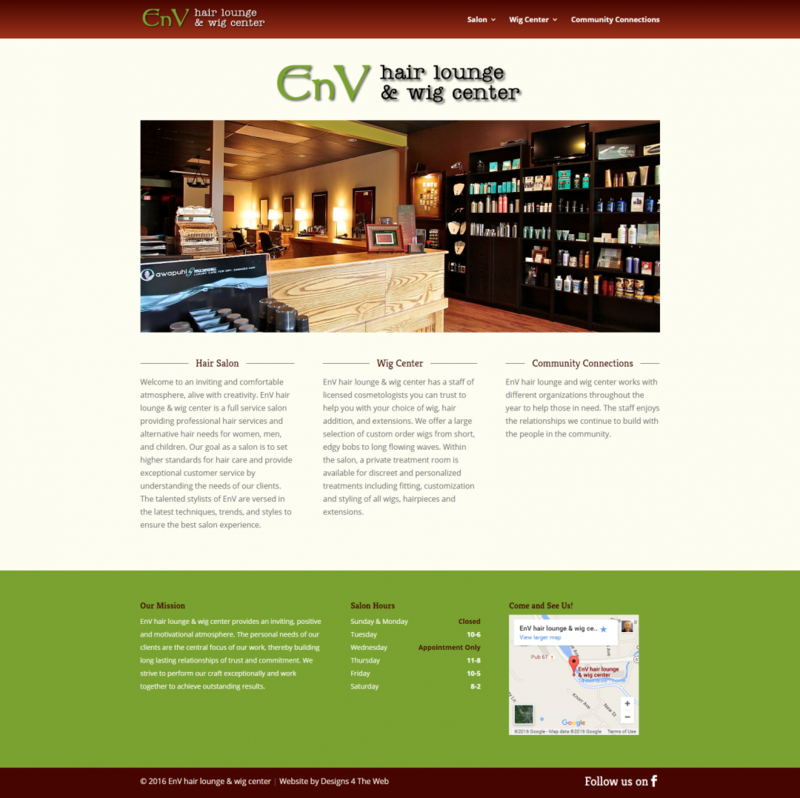 EnV Hair Lounge & Wig Center is an inviting and comfortable atmosphere, alive with creativity. EnV hair lounge & wig center is a full service salon located in Seymour, CT providing professional hair services and alternative hair needs for women, men, and children. 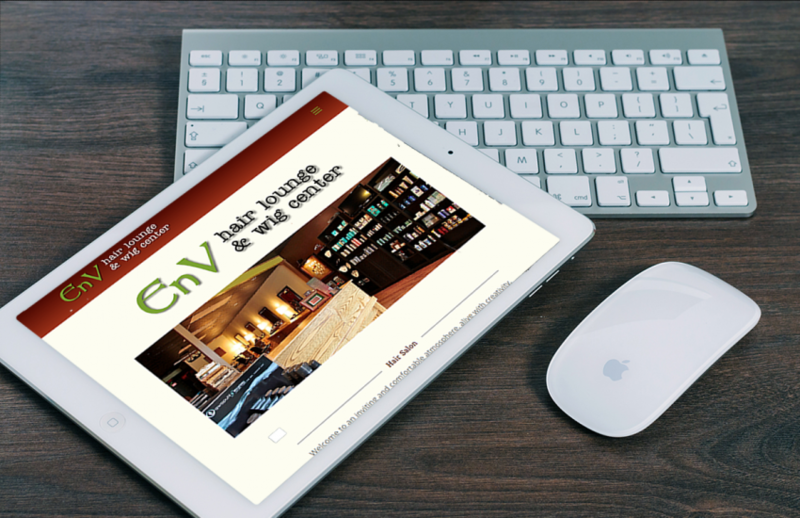 In working with Lisa Toigo, the owner of EnV, Designs 4 The Web built a simple, easy to use website for her clients whether they are looking to get directions to the salon or just check out the prices. 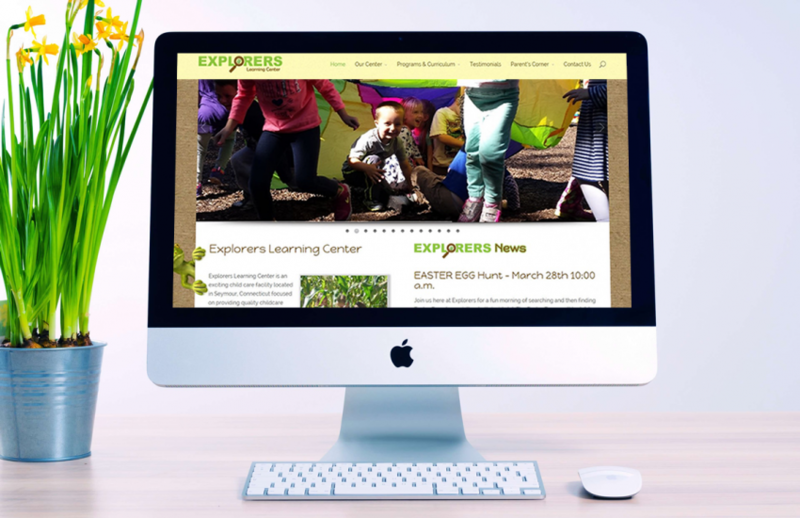 Future updates to the site will include a photo gallery to showcase the events that they host each year for a variety of non-profit organizations in the area. Check out the site below! 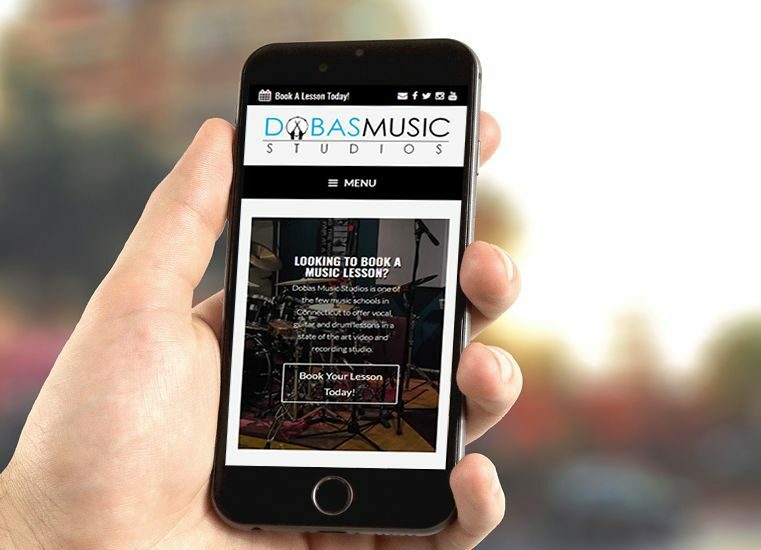 Dobas Music Studios is a Connecticut based music studio offering lessons for all talent levels in the areas of singing, guitars, and drums. 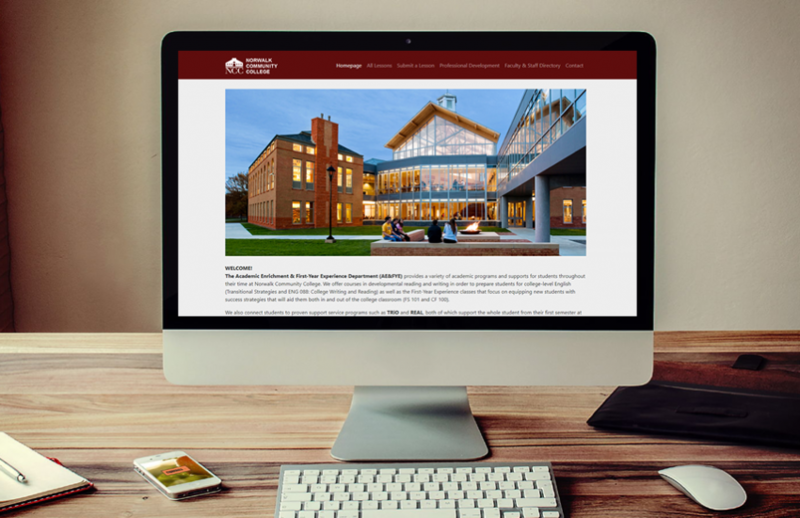 Designs 4 The Web worked closely with owner Nate Dobas to develop a search engine optimized website that would look as good as it performs on Google. 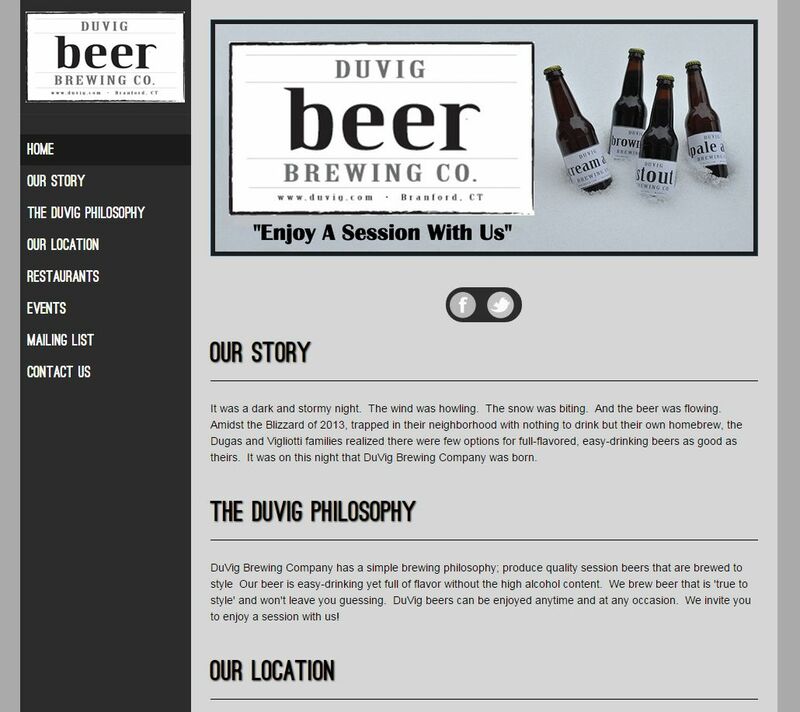 The site was built using the Divi builder on the Genesis framework and also includes booking functionality which allows users to book a lesson right from the site. 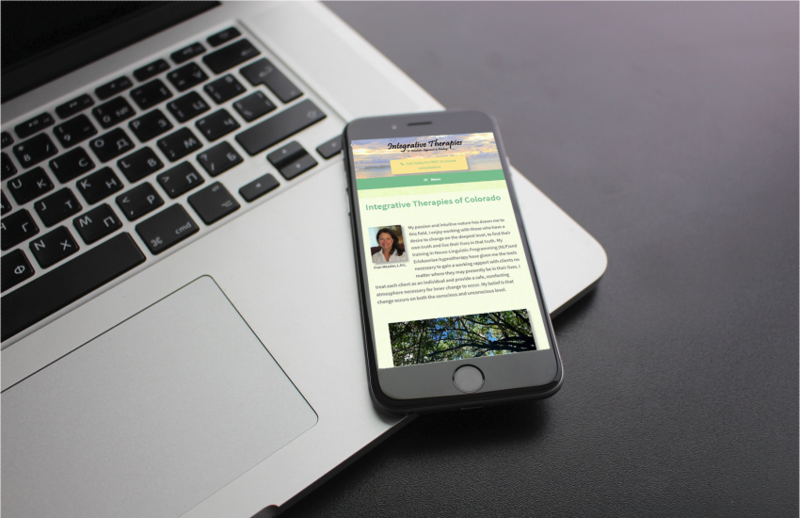 When Fran Messier of Integrative Therapies was looking to create a second website for her counseling services (across the country in Colorado), she reached out to me to build a brand new site which would be search engine optimized and mobile friendly. 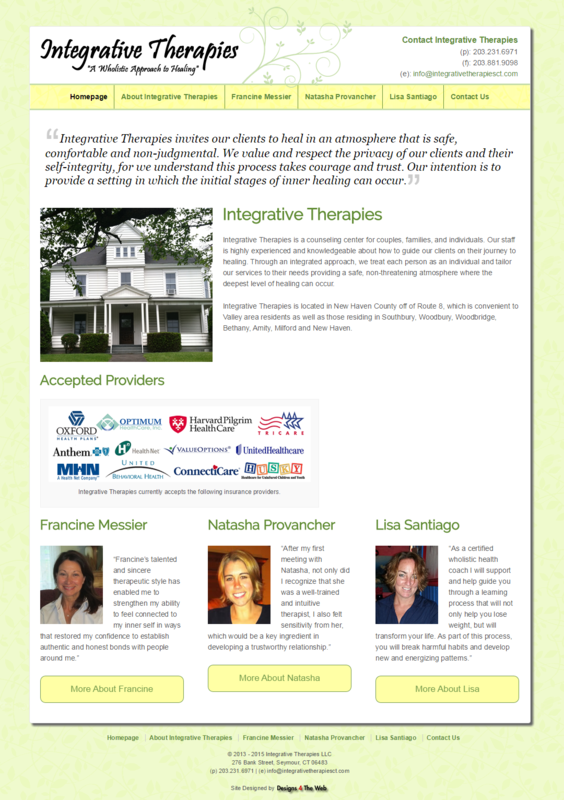 Integrative Therapies of Colorado was built on the Genesis Framework using the Beaver Builder interface for ease of updating. 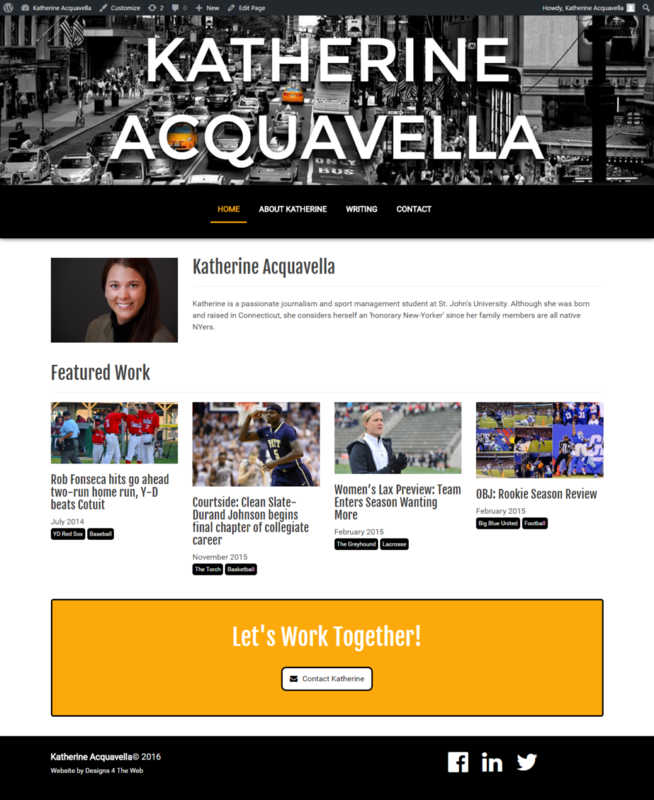 Katherine Acquavella is a New York based aspiring sports journalist who was looking to break out the mold with a new website that would act as a digital portfolio of her work while also being clean and easy to navigate with a focus on her work. 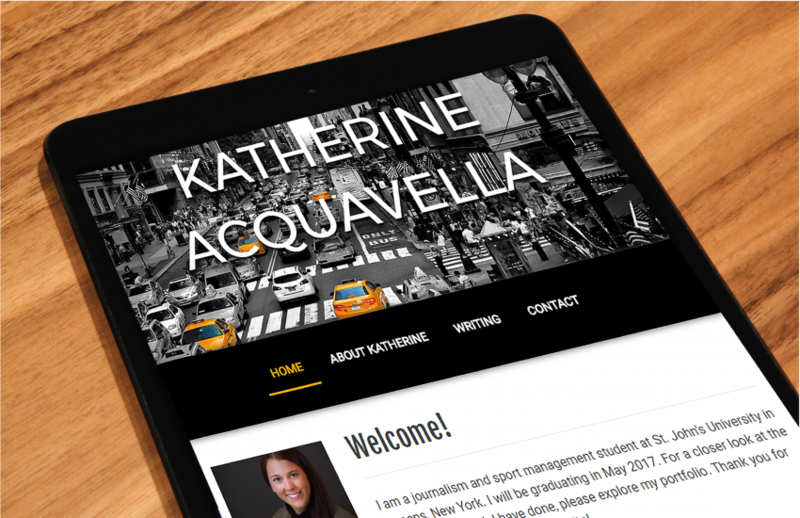 In working with Katherine, I was able to deliver with a custom built responsive WordPress theme based on the Bootstrap framework that has her site running lightning fast and looking a cut above the rest. 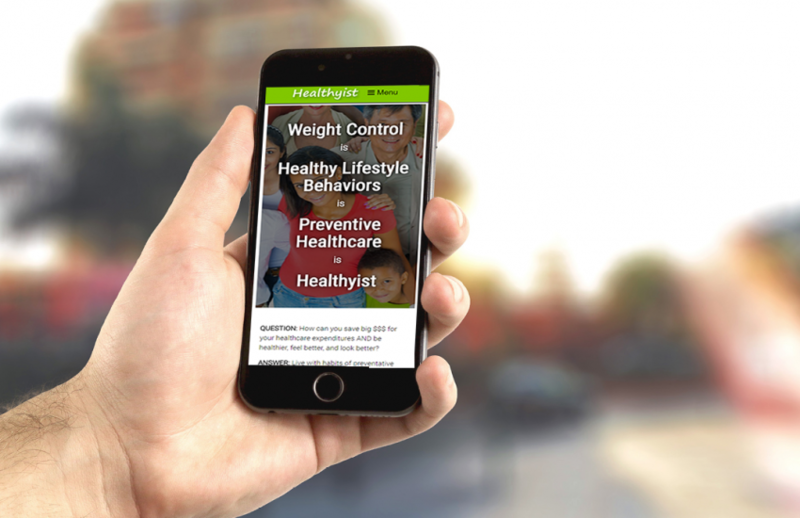 Healthyist is a blog based site which offers users tips and information about how to live the “Healthyist” lifestyle. 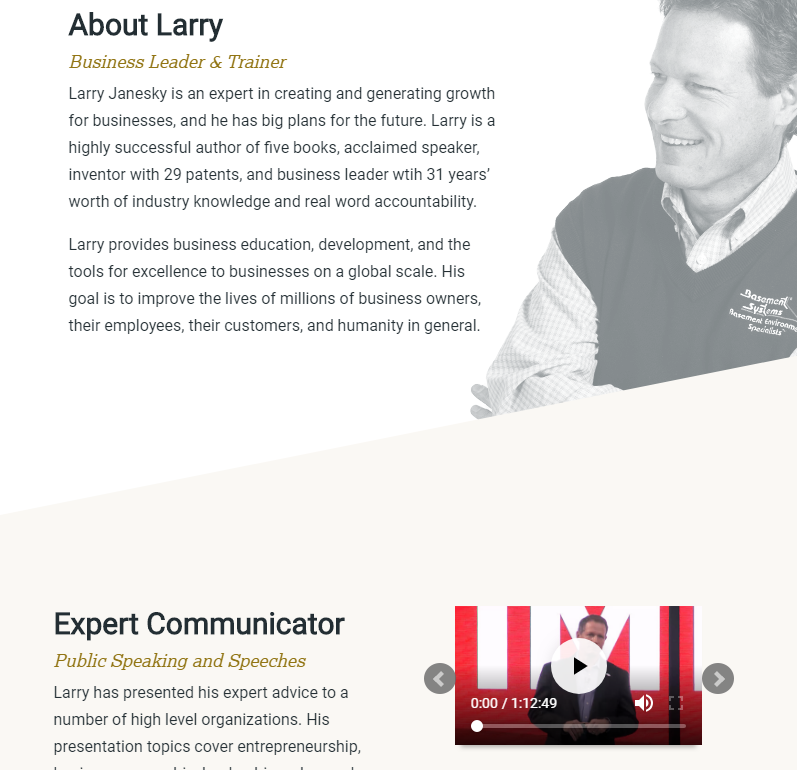 Included on the site are slide in call to action sections as well as a magazine style layout for the homepage blog posts. 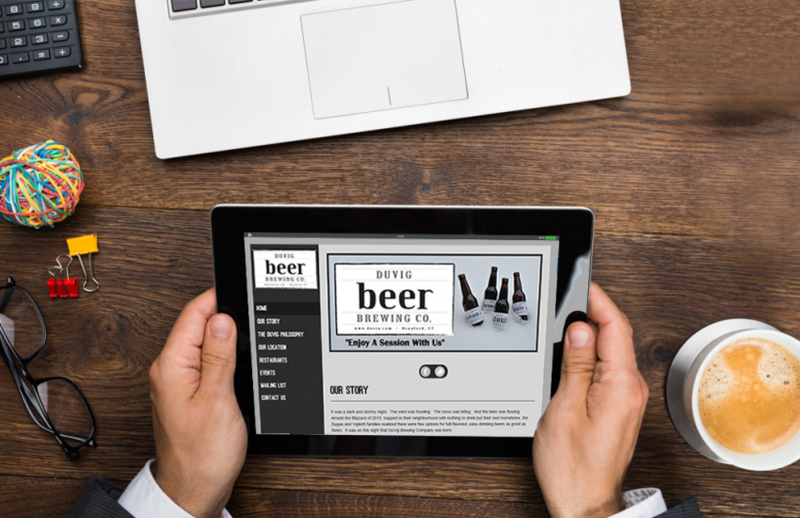 The mobile layout is sure to keep users engaged both at home and on the run. 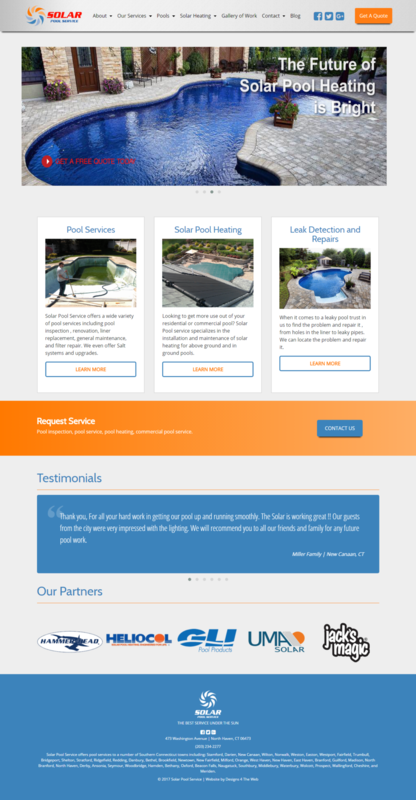 Solar Pool Service contacted Designs 4 The Web looking to take their web presence to the next level. 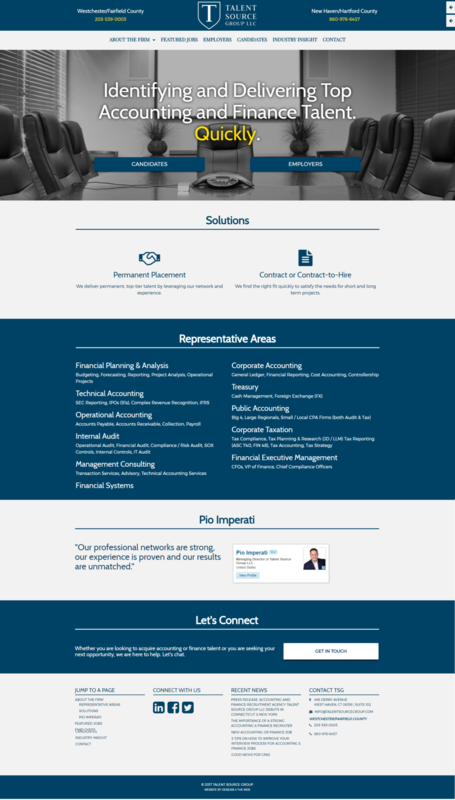 The project featured several custom built contact forms, a logo carousel, testimonial slider, filterable portfolio and more. 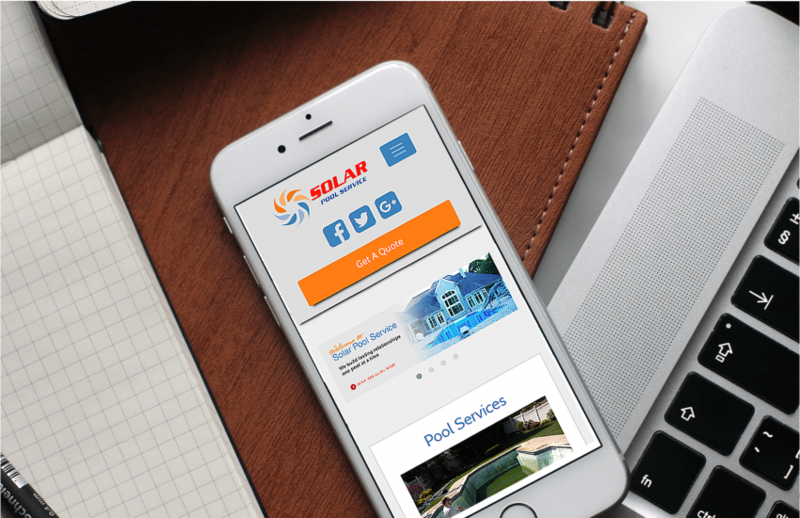 The site is also mobile friendly which means that their pool customers can reach out on their mobile devices while relaxing by the pool. This project uses a custom built theme based on Underscores and Bootstrap 4. Check out the site below! 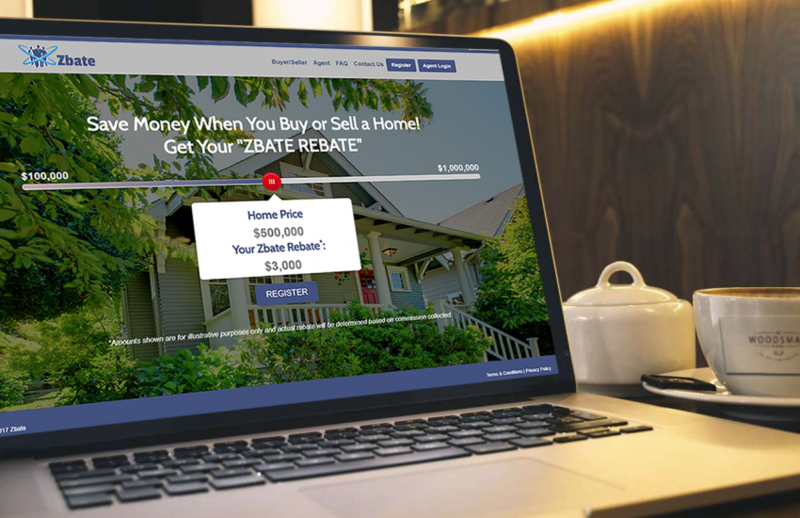 Zbate is a real estate startup who needed a website fast and functional. 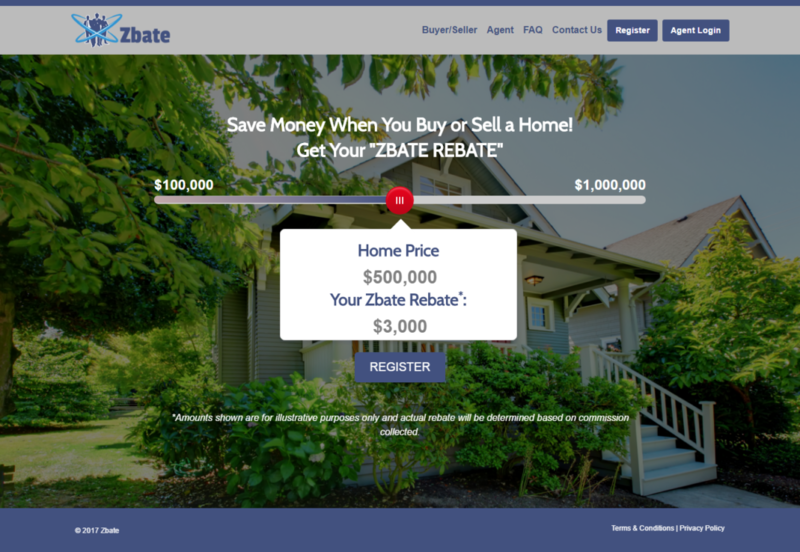 In working with David of Zbate, Designs 4 The Web constructed an easy to use site which includes a slick rebate calculator and advanced user registration system which allows public and agents to create accounts and access their own private dashboard. 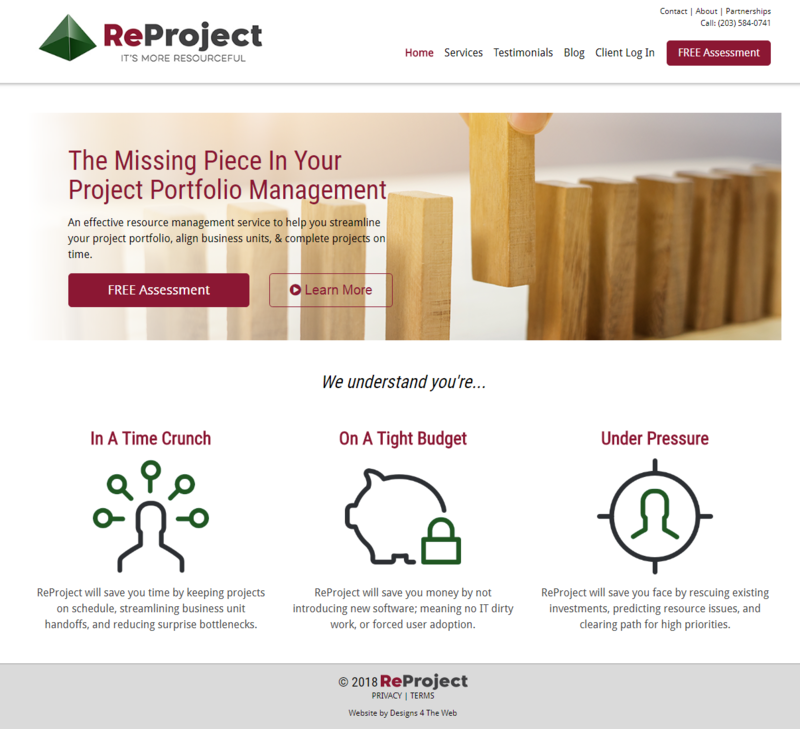 This project used a custom theme which was developed using Underscores and Bootstrap 4. 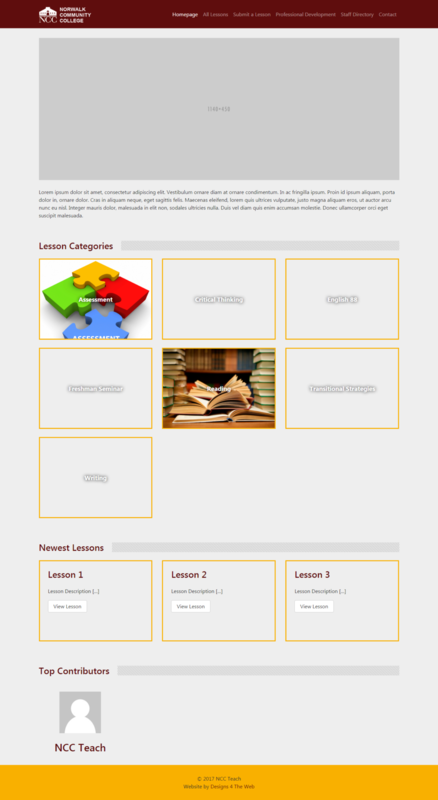 In working with the English Department at Norwalk Community College, they needed a site developed for their professors that would allow for password protected content as well as a system which would allow them to upload full lessons and information which could be accessed by other staff members. The result is a clean site which allows for user registration and easy management by the site admin. The foundation for this project is a custom built theme which was developed using Underscores and Bootstrap 4. 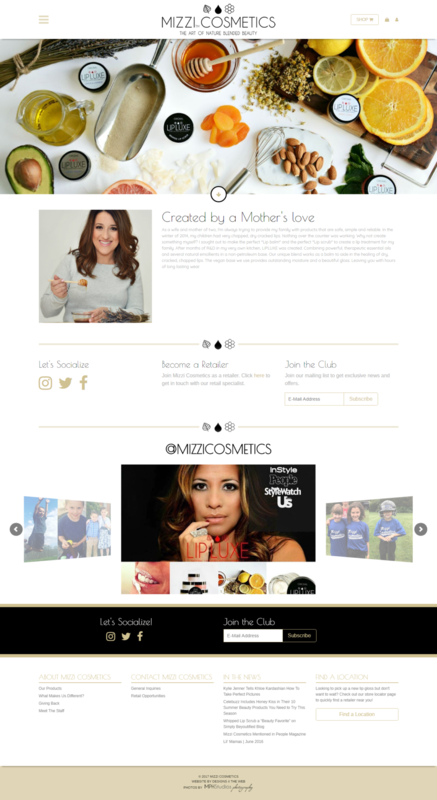 Designs 4 The Web has been with Brenda Mierzejewski, the founder of Mizzi Cosmetics, since the company started out back in 2013. 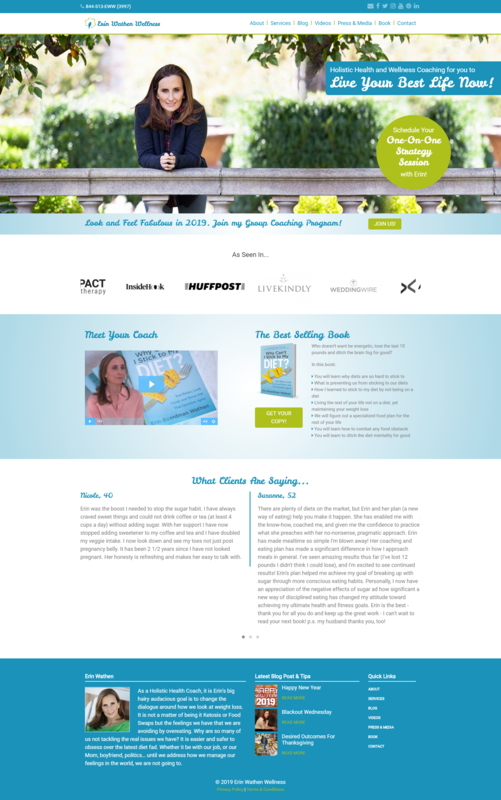 As the business has grown, it was time to rebrand and relaunch the site with a cleaner more upscale look and feel. For this project, a full screen navigation was developed as well as an overhaul to the blog and the homepage which features a new Instagram carousel which displays the lip balm producers latest feed updates. The foundation for this project is a custom built theme which was developed using Underscores and Bootstrap 4. 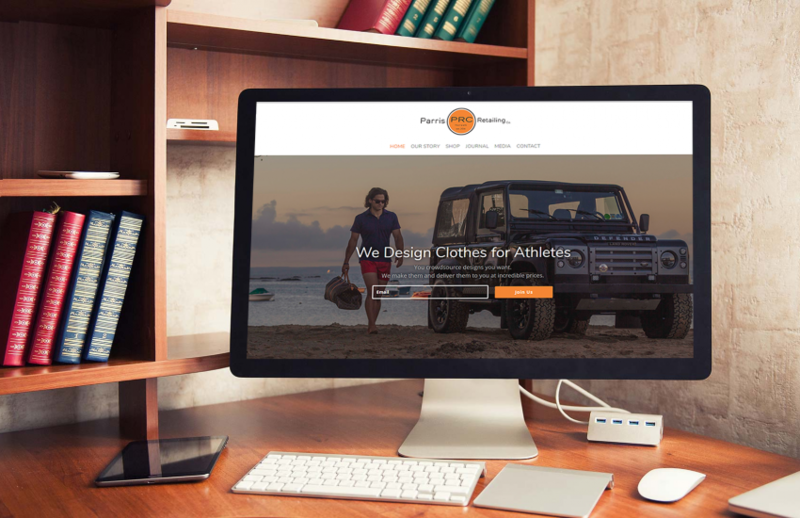 Upon launching a new site, the founder of PRC Apparel was looking to include crowdfunding functionality into his online shop. When the developer of the site was unable to produce, Andre reached out to Designs 4 The Web to overhaul the store’s look and feel and also introduce the ability for shoppers to pre-order items that are being crowdfunded as well as shop those that have been met. This project includes some extensive backend coding including a countdown timer for each pre-sale item. Check out the store below!